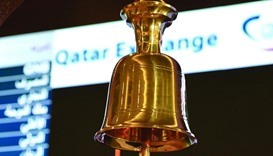 The Qatar Stock Exchange on Thursday witnessed about 67% of the traded constituents returned gains, thus helping its benchmark surpass the 10,250 level. 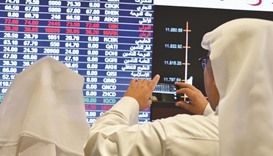 Increased buying interests of foreign institutions on Wednesday helped the Qatar Stock Exchange gain more than 18 points. 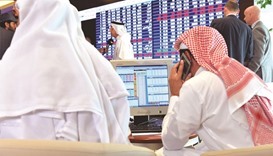 Ezdan, which is looking to nullify its earlier proposal to delist, saw its stocks make huge gains on Monday, thus helping the Qatar Stock Exchange surpass the 10,200 level with ease. The Qatar Stock Exchange on Sunday witnessed strong buying interests, especially in the real estate segment; even as it could gain only three points. 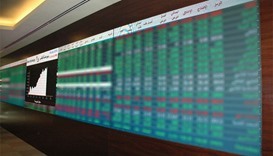 The Qatar Stock Exchange on Thursday gained 41 points mainly on the bullish outlook of foreign institutions. 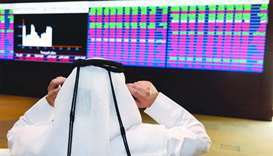 The Qatar Stock Exchange on Thursday witnessed more than 61% of the traded constituents return gains but overall it settled lower.